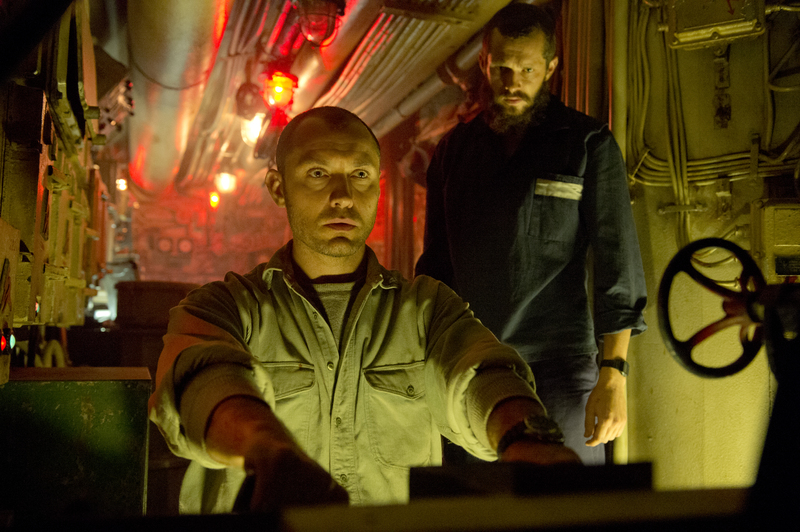 Synopsis: Black Sea centres on a rogue submarine captain who, after being laid off from a salvage company, pulls together a misfit crew to go after a sunken treasure rumoured to be lost in the depths of the Black Sea. As greed and desperation take control on board their claustrophobic vessel, the increasing uncertainty of the mission causes the men to turn on each other to fight for their own survival. Director Kevin Macdonald (The Last King of Scotland; State of Play, Touching the Void, The Eagle) makes clear nods to John Huston’s The Treasure of the Sierra Madre (1948) in this claustrophobic thriller about a group of disparate and desperate men trapped together in a dilapidated submarine searching for a wartime German U-Boat that disappeared in 1941 along with a fortune in Russian gold. Jude Law is excellent as Robinson, an Aberdonian submarine captain, separated from his wife and child, who is suddenly made redundant from his job with a salvage company. He assembles a crew of Brits and Russians, finds an investor and a rusting submarine for his plan to seize the rumoured stolen Nazi gold in the depths of the Black Sea. Obviously soon jealousies, tensions and feuds break out and a fight for survival takes the temperature to boiling point in this gripping and emotional thriller. The ensemble acting is exceptional from all the cast, with a stand out performance from Bobby Schofield (Tobin).